Since 1987, the South Tyrolean construction engineer Dr. Christian Braun has held various management positions in the MAURER Group. Since 2002, he has been responsible as Managing Director for the business unit Engineering and Sales. Mr. Meincke, industrial engineer, joined MAURER in 2009 as Head of Purchase Department and has been holding different executive positions since then, most recently as Head of Corporate Development. 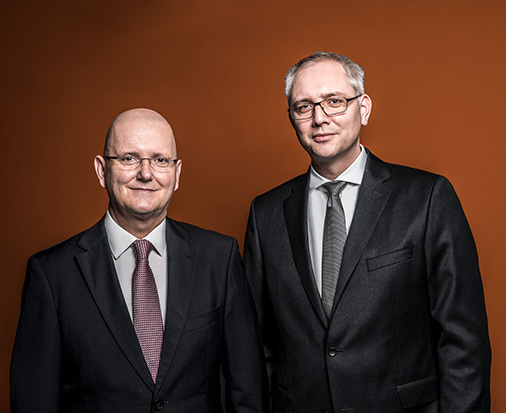 As of 2018, Mr. Meincke will assume responsibility as Managing Director for the commercial and production sector.